Located right of main entrance door in covered sitting area. With years of experience in managing multi-family units, town homes, single family homes and condominiums governed by Homeowner Associations; we are able to meet your needs. We pride ourselves on being knowledgeable in all areas of property management and tenant relations. Our efficient marketing strategies combined with our screening process helps us place your home in the care of the most responsible and qualified applicants. Across the United States, millions of Americans invest in rental properties. From vacation homes to condos, apartments, and secondary homes, rental properties come in all shapes and sizes. Many people believe that owning rental property is a simple, hands-off way to earn passive income throughout the year, but this is generally not the case. As simple as the position may seem, many landlords soon realize that the job of managing rental properties is extremely challenging. From property repairs to tenant complaints, calls come in day and night, requiring a significant time commitment. Operating rental properties is a business and must be attended to, from bookkeeping to running background checks on potential lessees. With all the day to day tasks that maintaining a property requires, what at first seemed like an easy way to make extra cash may soon become a time-consuming 24/7 commitment. When your property becomes too much to handle, it may be time to consider a better option. Instead of losing your investment, put your rental business in the hands of Portland's own Porter Bruanen Property Management! Why Do You Need Portland Property Management? If you've ever been awakened in the night with a request to repair a broken pipe or skipped time with your family to balance your books, you know how challenging operating a successful rental property can be. With help from a team of dedicated professionals, you can say goodbye to stress and hello to profits! 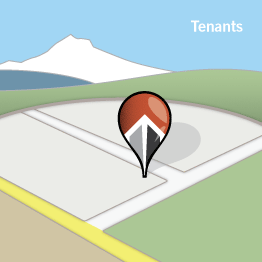 A property management company is designed to facilitate all parts of a successful rental enterprise. Instead of worrying about the minutia and letting obligations related to your property disrupt your day to day life, our team is happy to help. Instead of sacrificing time, sleep, and money to do what it takes to run a successful business, let us take over! Many individuals believe that hiring a property management company costs more money than it saves, sacrificing profits for convenience. In reality, this couldn't be further from the truth. A professional property management company can help you grow your business, driving additional revenue and narrowing your cost of sales and operating expenses. Using the right marketing techniques, our team is able to find tenants searching for a place to live in the greater Portland area quickly and efficiently. By increasing visibility on property websites and in local advertising venues, we can improve your placement rates and make sure you never have an empty unit. Tenants not paying rent on time? Attempting to evict a renter who won't go? Instead of spending hundreds on a lawyer, let our team take over. With the right attorney for any legal situation and the ability to determine legal cases and confront tenants who misbehave, you'll always get the money you're owed. When a tenant calls in the middle of the night with a broken pipe, a leaking ceiling, or fire damage, our team is here. We will handle all repair and service requests to ensure your day to day life is never interrupted. Don't worry about getting out of bed or spending exorbitantly on a last minute repairman; we'll make sure you're covered. From keeping track of rent payments to contacting contractors, repairmen, and pest control, we're here to handle all of the tasks that kept you busy on a daily basis. Let our team maintain your books and provide you with financial performance records so that you always know where you stand. Instead of spending money on an outside firm or taking hours out of your day to set up schedules, our team can help. 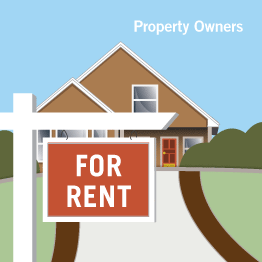 Managing your own rental property can be expensive, stressful, and time consuming. Instead of doing the hard work on your own, let our team take the reins. Porter Brauen Property Management is dedicated to customer service and exceeding your expectations. With unparalleled knowledge of the Portland rental market and a 24-hour emergency hot line, we're willing to go the extra mile for you. Whether you have a vacation home you wish to rent out, a condo you're not using, or a collection of apartments around Portland, our team has everything you need to ensure that you maximize your profits with minimum effort. Call today to learn more about what our team of experienced rental professionals has to offer! Call for a complementary rent analysis.